NEWS: Virgin Australia has introduced a new inflight wireless system with TV shows, films, and music, to tablets, smartphones & laptops. 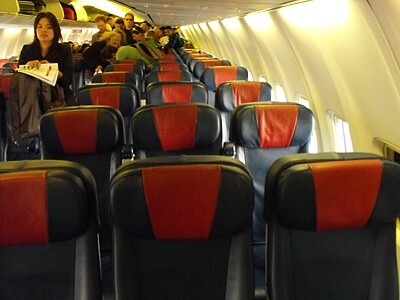 It will be fitted on all the airline's planes within 2 years, however the system does not offer internet access. Virgin Australia is an unlikely success story among airlines, starting with grand plans, and being able to make most of them work, to become Australia's second-largest airline, and a major rival for the dominant Qantas. 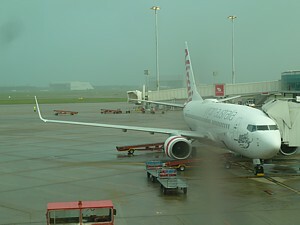 Virgin Australia Airlines, formerly Virgin Blue Airlines started out with a classic low-cost model, but over time it has increased frills and perks so that in all but name it is a full service airline. Virgin Australia reviews are generally favourable. It's pretty big: it serves 29 cities in Australia, with Brisbane Airport as its hub, using a fleet of 90 narrow-body Boeings and Embraers, including 5 longhaul Boeings for overseas runs, and 5 widebody Airbus for East to West coast runs. There's one main reason for its growth: the collapse of Ansett at just the right time in the airline's inception, which gave it customers, facilities, terminals, and even lounges on a plate. 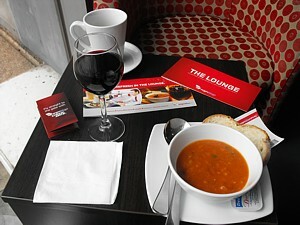 Virgin Australia Lounges. Virgin Australia reviews often talk about how ‘new' everything seems on board: in fact that isn't really the case (the A330s for example were second hand from Singapore) however Virgin Australia does a good job of spruiking a new fresh image. 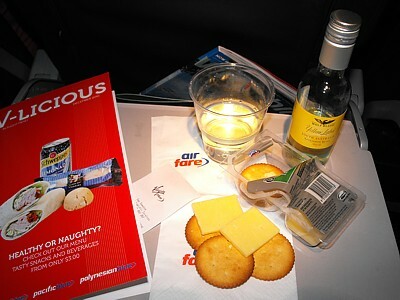 Virgin Australia inflight experience. As a result Virgin Australia has been steadily rejecting it's no-frills roots, and has moved its business model firmly away from the original concept, which was to offer a cheap and cheerful option for bucket and spade holiday makers on one of the most intense air routes on the planet: between Sydney, Brisbane and Melbourne (which is the 4th busiest in the world). Now, that's all changed, and it flies to most of the places around Australia anyone would want to go to. Virgin Australia routes & destinations. 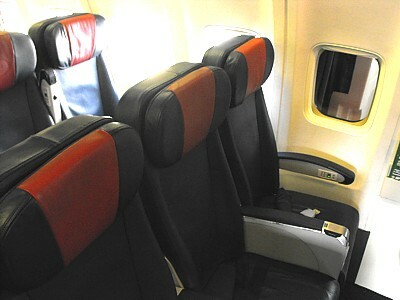 Low cost airlines also avoid Frequent Flier schemes, however Virgin has created one too, and very popular it is too. The airline is now on the verge of joining a major airline alliance – Star Alliance, or possibly Skyteam: Virgin Australia hasn't decided which yet. You can even interline with other airlines (again, something low cost airlines rarely do). Also changing is the one size fits all model: now Virgin Australia has business class, and what was previously up the pointly end, Premium Economy is facing the axe. These moves took place in the great economic boom times of 2008-2012, when the airline could scarcely keep pace with economic growth. Onboard on Virgin Australia domestic there is soon only going to be Business or Economy, and in both Virgin Australia have a fresh new cabin. 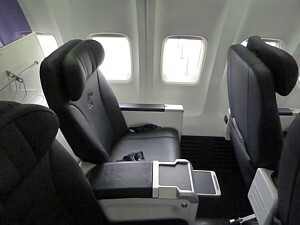 Business Class on the domestic A330s is only marginally behind Qantas, while Virgin Australia international reviews on the Boeing 777s has Premium Economy similar to what you would find on Virgin Atlantic, and there are decent flat beds in business. Virgin Australia inflight entertainment is equally not bad at all: Internationally every seat gets a seatback TV, AVOD and laptop power. Domestically there is the same RED IFE system as in America, but it is free to use. Virgin Australia reviews always complement this system, and it really isn't bad at all. Virgin Australia seatback TV details. However with so much with-frills activity, it comes as a surprise to find that Virgin Australia still doesn't hand out free food on board, and there is a charge for checked baggage. Behind the curtain in domestic, there is still no complementary food: it is strictly buy on board – unless you want a drink that is. Beer and wine are all free after 4 pm on flights between capital cities. Business Class meanwhile has what is called a "sophisticated" gourmet menu created by Australian chef Luke Mangan with a full three course meal prepared on board by the crew for lunch and dinner – and on all east-west coast flights. Virgin Australia inflight meals. International routes are however hard to come by on Virgin Australia. The airline has a fleet of only five long range wide bodies planes, and used to use them out of Sydney to a rack of routes including South Africa. However there are now just two major long haul routes – Los Angeles and rather oddly, Abu Dhabi – a destination of choice thanks to Virgin's association with Etihad, which offers onward connections. However as the Virgin flights in effect just double up on Etihad flights, there is little advantage in this route, and it is LAX that is the mainstay. Virgin Australia routes. 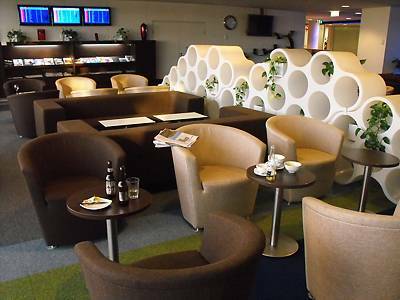 To go with Business Class there are business class lounges – which were the defunct Ansett Golden Wing club lounges under another name, but which have now moved decidedly upmarket. Originally called the Blue Room they were a pay per entry lounge, and later became the Lounge on a membership fee basis. Now they are the Virgin Australia lounge – designed to be a premium experience, with spaces designed for specific uses and 'moods'. You can no longer buy your way in free on the door –- it's either down to buying a membership, or attaining Gold level on the Frequent Flyer scheme, so like Qantas has Virgin Become. Indeed, Virgin Australia vs Qantas has become an ongoing battle for market share, with one quickly aping the other. Your reviews of Virgin Australia flights. Virgin Australia was founded by British businessman Sir Richard Branson's Virgin Group and it is the largest by fleet size to utilise the Virgin brand, however Virgin now have little to do with the company, other than holding a 25% share. Patrick Corporation had most of the rest thanks to a hostile takeover in 2006, however they in turn were bought out by Toll Holdings, who have sold their interests. Virgin Australia has also changed name. It started out as Virgin Blue and could "Virgin" callsign domestically in Australia, but elsewhere Virgin Atlantic had the rights, and so separate brands like Pacific Blue and joint venture Polynesian Blue were been created. Finally, when Virgin became a truly international brand, it was accepted it could use Virgin Australia everywhere. 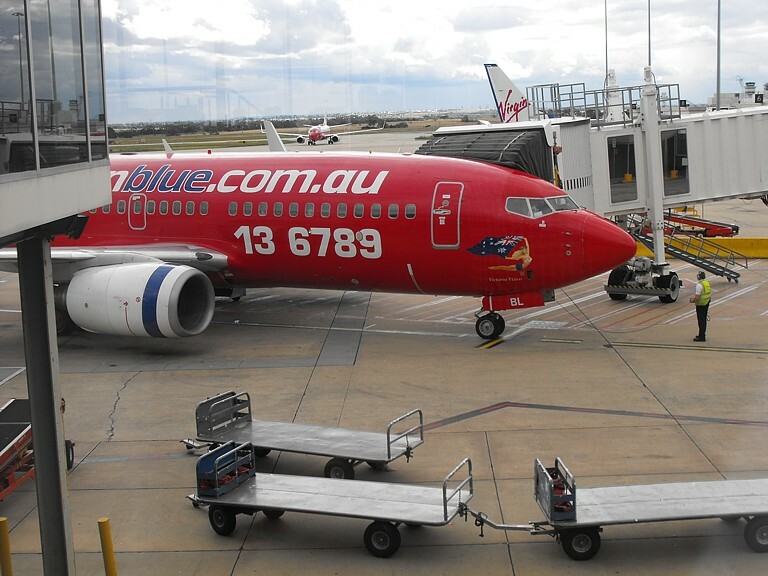 Virgin Blue's name was the result of a competition with Brisbane radio station 4KQ. The planes were always going to be red (to match Virgin's corporate colours) and Australians refer to a red head as a Bluey. Hence... Virgin Blue. Only in Australia as they say. 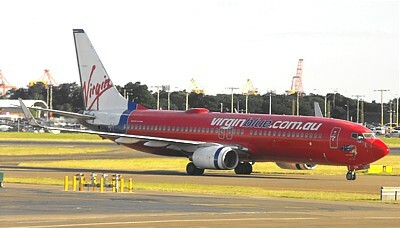 However, a Virgin Blue review is a Virgin Australia review –- it's the same airline, just one that has gone upmarket.